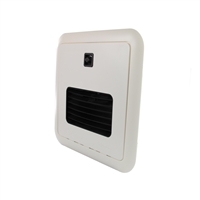 Includes: One (1) Atwood Water Heater ECO thermostat Assembly for use on many Holiday Rambler, Monaco Coach, Fleetwood RV Motorhomes, American Coach and several other makes and models of Motorhomes by leading RV manufacturers. 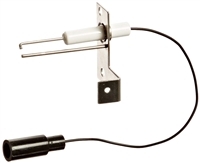 Includes: One (1) Electrode single sense for use on many Holiday Rambler, Monaco Coach, Fleetwood RV Motorhomes, American Coach and several other makes and models of Motorhomes by leading RV manufacturers. Includes: One (1) Truma Water Heater Access Door for use on many Holiday Rambler, Monaco Coach, Fleetwood RV Motorhomes, American Coach and several other makes and models of Motorhomes by leading RV manufacturers. 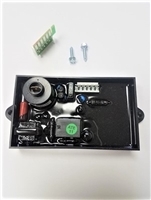 Includes: One (1) Circuit Board for Gas/Electric combo Water Heater for use on many Holiday Rambler, Monaco Coach, Fleetwood RV Motorhomes, American Coach and several other makes and models of Motorhomes by leading RV manufacturers.